The FJ40 LandCruiser became an icon among Toyota’s vehicles, generating widespread recognition and respect for its authentic off-road capabilities. 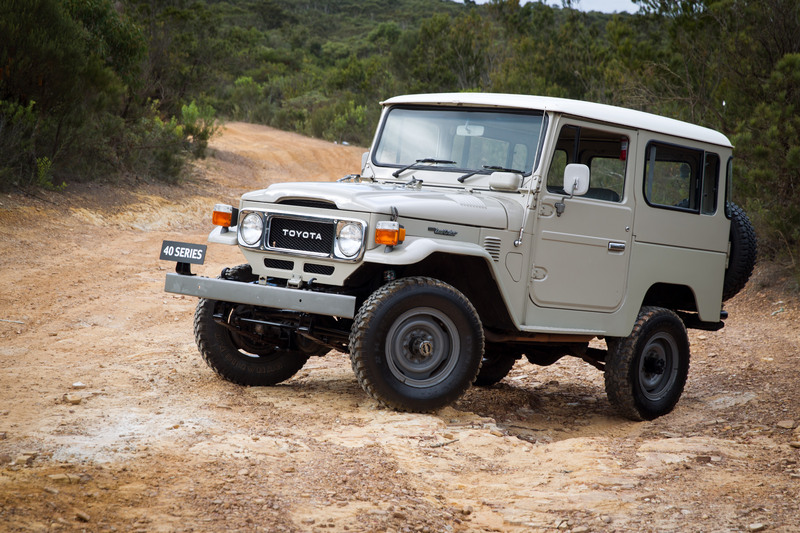 More than 1.1 million were produced between 1960 and 1984; however, Toyota’s enthusiasm never waned for the spirit of this rugged, go-anywhere vehicle. In the late 1990s, Toyota in the United States encouraged design projects that ultimately led to the development of a new FJ – a modern vehicle that would appeal to younger drivers, even those who knew nothing about the original FJ. Description: Tough and functional, the original FJ was a two-door, short wheelbase, four-wheel-drive vehicle. Its exterior design has become iconic – angular lines, two round headlights set on either side of a mesh grille, an upright windscreen, wrap-around rear corner windows and a flat, white roof. The FJ40 amply demonstrated its suitability for the toughest conditions and it became a part of life in outback Australia. FJ40 established LandCruiser as the vehicle of choice for large construction projects, in mines, on cattle stations – in fact, anywhere requiring a rugged, dependable vehicle that could travel to, and return from, any extreme environment. Description: The overwhelmingly positive response to the FJ Cruiser concept prompted Toyota to launch a production version – a capable, affordable and durable vehicle that is youthful, fun-to-drive, aggressive and tough. Retaining many of the design details of the original concept, it is the modern interpretation of a Toyota classic, combining Toyota heritage with modern safety and refinement. For more information on the FJ CRUISER or if you are looking to own one of the last few vehicles in Australia click here. * Fuel consumption varies depending on driving conditions / style, vehicle conditions and options / accessories. Source of fuel consumption data: ADR 81/02 combined cycle. ** Manufacturer’s list price is provided for media purposes only and does not include statutory charges or other on-road costs. # Maximum payable for standard scheduled servicing (normal operating conditions) until first of 3 years or 60,000km (up to the first 6 services). Excludes government and rental vehicles. For full details of eligibility and exclusions, go to toyota.com.au/advantage.